Cut up your favorite fabrics with intention! Learn how to look at your stash with new eyes and piece together the best bits, like making a colorful collage of your favorite things. Use templates to zero in on motifs and create secondary patterns from your fabrics, fussy cutting for color as well as design. 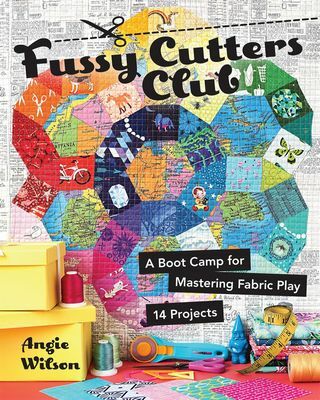 Try your hand at 14 fun projects from traditional and improve piecing to English paper piecing. Softcover - 136 pages. Author: Angie Wilson.